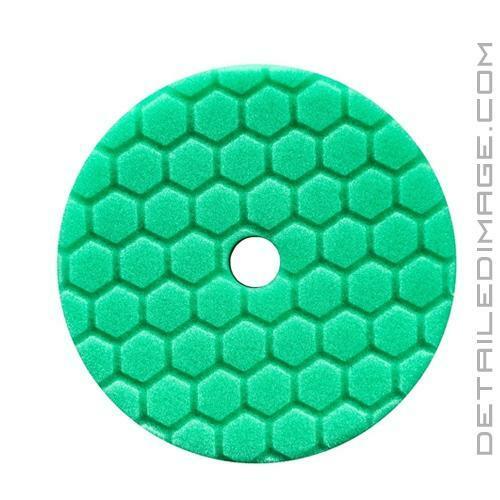 Medium to heavy polishing pad that removes swirls, oxidation, etc.! Pad runs cool with Hex-Logic Quantum technology! 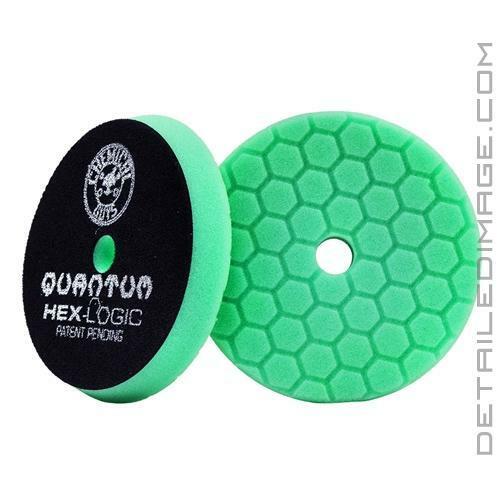 The Chemical Guys Hex-Logic Quantum Buffing Pad Green is a medium to heavy polishing pad, designed to help you remove medium imperfections safely and easily. This pad is not as aggressive as a compounding pad but it has the power to remove noticeable swirls. There are plenty of light polishing options and heavy cutting options, but what if you are looking for something in the middle? With this Green pad, you can remove medium swirls and imperfections with ease. Pair with your favorite medium polish and you will be amazed at how great the paint looks when finished. If you find that you need more, or less, cutting power, check out the other pads in the Chemical Guys Hex-Logic Quantum line listed below. I am a big fan of the green pads from chemical guys. I own all the colors from yellow to red and these seem to be enough to get most cars done. The newer quantum pads are even better because they keep cooler and let you work an area for a longer duration. Love these buff pads, great finish and last a long time. Highly recommend.